Say you’re still using your Windows XP taskbar, but wouldn’t it be cool if it had even more features and was more flexible? Welcome to the fourth post in our desktop enhancement series in which I will focus on – you guessed it – the Windows XP taskbar. 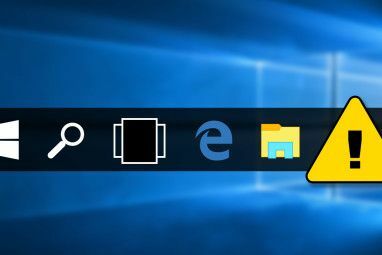 Straight from the nerd cave, this ingenious tool lets you re-arrange buttons on your taskbar via simple drag and drop. Using a hotkey (Ctrl for example) you can also re-order system tray icons. Additionally, Taskbar Shuffle is low on system resources and won’t bug you at all if you say goodbye to the splash screen and system tray icon. Tend to lose track of all the items in your taskbar? Instead of opening every single window until you find the one you need, would it help to see a preview of its content? 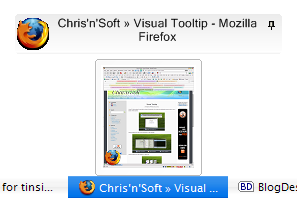 Visual Tooltip let’s you view a thumbnail of any taskbar item simply by moving the cursor over the respective button. You can drag the little window around the desktop, make it sticky by clicking the pin symbol, manage its transparency, size and color. You can even add the thumbnails to a dock through the right-click menu and move the dock as a whole to a convenient spot on your screen. This tool can become a power hungry beast when holding too many thumbs, but it’s a nice gimmick when you need to manage a big load of open windows. Unfortunately, Taskbar Shuffle does not seem to be compatible. Both of these applications will add some more functionality to your Quick Launch Bar. Rather than having it cluttered with icons to open folders or applications, you can add small menu buttons that will display the content of a folder, for example the control panel or a folder holding shortcuts to all your most used programs or documents. To get it to work you drop the .exe file into such a folder, then create a shortcut to this .exe file and add that shortcut to your Quick Launch Bar. Next you can change the shortcut icon (>right-click item >select properties >shortcut tab >change icon button) and voilÃ , your custom Quick Launch Bar menu is done. As opposed to ShortPopUp, you can directly link to a few special folders with menuApp, so all you need to do is drop the .exe file into the Quick Launch Bar and manipulate its command line. ShortPopUp accepts command line or inifile flags to manage item sorting, display, menuwidth and -length and many, many more properties. Please turn to the respective help files for details, they are included in the software downloads. Both tools are fairly easy on system resources and stay clear of the registry. So just give them a try! If the two Quick Launch Bar tools described above were a little too challenging, you might be interested in Free Launch Bar. It replaces the Quick Launch Bar, looks exactly like it, but you can combine shortcuts into groups and create little pop-up menus. Once Free Launch Bar is installed right-click an open spot in your taskbar and select >Toolbars >Free Launch Bar from the menu. At this point you might want to uncheck Quick Launch Bar in the same menu. Next right-click onto Free Launch Bar and select >New >Menu and give the new menu a name. Make sure it’s visible, if not drag it to a visible spot. Then drag and drop shortcuts in your new menu and that’s it. You can further customize the bar through the FLB Settings menu displayed below. This little Windows Manager comes with a few nice features for your Taskbar. 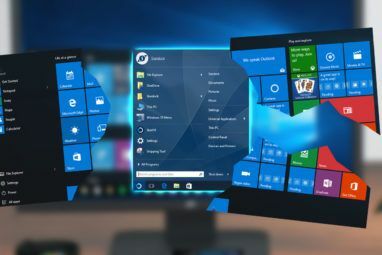 Minimize any window to an icon in the system tray, make windows stay on top, let them appear transparent, hide windows or tray icons, re-arrange the order of taskbar buttons via drag and drop, hide elements of your Taskbar such as the Start button or system clock or others. Simply said – customize your Taskbar to meet your personal requirements and don’t look back! Very versatile tool and best of all it’s low on system resources. The Taskbar is a fragile little thing, so if things go wrong, turn to this repair tool to bring your old setup back. 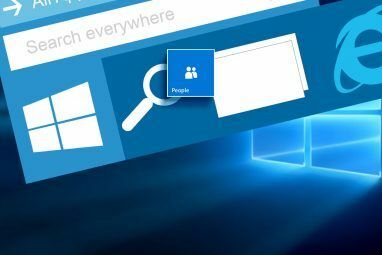 If your Taskbar has gone missing, if minimized programs disappear, if you’re stuck in classic view, when you cannot remove certain toolbars, when the icons look messy or if anything else seems weird, this tool might be the easy way out. But first of all make sure the problem is not due to a setting or incompatibility with another running application, for example a dock program. One by one, close all programs running and see if that fixes the issue. If it doesn’t, open the Taskbar Repair Tool Plus!, select your problem from the respective field and click the Apply or Repair button. Good luck! Know of any other tools I missed? Please let us know in the comments and share your experience with the ones described above. Explore more about: Windows App Launcher, Windows Taskbar. @Alex: Sorry Alex, no idea if there is a tool out there that can do that. @shortcerriez: I didn't have this issue with XNeat and I've been using the program for quite some time. Not sure what is causing the problem either. Searching Google showed that several people have Runtime Errors, but they all differ. Very sorry for the inconvenience! The XNeat homepage has a support forum [http://www.xneat.com/talk/] which I recommend turning to. Hopefully someone will be able to solve your problem or maybe the three cases that have been reported before match what you're looking for. Good luck! I tried installing XNeat but once I ran the program, an error kept popping up. Something about a runtime error and that an automation server can't create object. Don't know if it is just my computer or the program. Hi & many bravos for your website. ShortPopUp & menuApp sound really cool. The first thing I am going to add to my quick launch is expandable Control Panel menu. My favorite one is shortpopup, the expandable menus on the Quick Launch bar are plain awesome.